As we all know that the market of smartphones is increasing day by day. In India itself, it is becoming home to the second largest user base of smartphones, the growth of mobile apps has shown exponential growth over the past few years. Consumers from all over the world downloaded more than 200 billion mobile apps in 2018. The cost of developing app can exceed $1 million, with the median cost falling in the range of $100,000 to $500,000. Just do the multiplications of those numbers together and it appears that a startling amount of resources are spent yearly on mobile app development? Mobile app testing is just as important as developing an application. In other words, we can say it that can decide the failure and success of the app. This is very important because if you focus on rushing the testing stage, there are great chances that your app will be a failure in the global market. Many app developers try to take shortcut methods to test an app which may completely run the application in future. It involves many stages of iteration to test all the features and functionalities and scrutinizing the same activities repeatedly until the expected result is achieved. Imagine that to create the perfect and flawless app, first you decide to test all the possibilities, even those that vary from each other with a small difference. But unfortunately, this is not efficient at all. In most of the cases, it will be quite impossible. 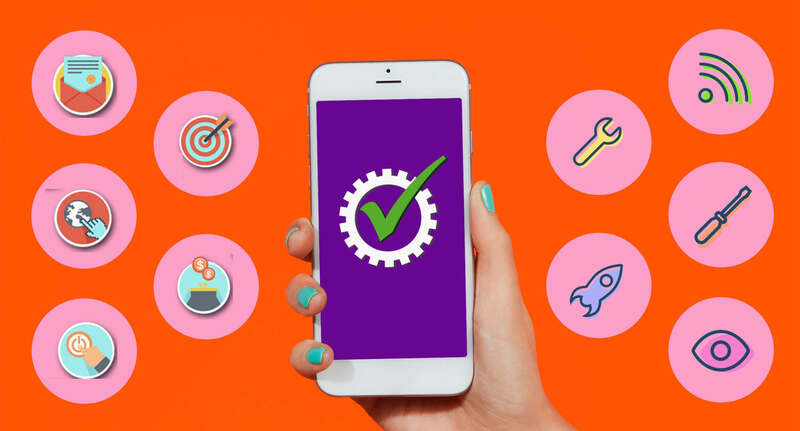 Despite that, you should test for major possibilities that differ from each other, identify them through different features and test their integration with the App’s core functionality. Additionally, you should also prioritize the scenarios and tests in order to streamline your testing process. So, in that case, if you’re trying to be more efficient, not skipping on major tests to save time. To avoid this situation, try to narrow down changes in the app as you move forward and focus on those. In order to provide the best user experience, app developers generally forget about the working features of the app and put more focus more UI. It is important to have attractive, but usability also plays a key role. Why should someone download your app if it does not fulfill their purpose or if the features are not working smoothly? A balanced and calculative way should be followed while testing User Interface along with the features or usability of the app. All app developers know this fact, that world of website development is slow and static. In the web development, testing on only a few browsers is sufficient. On the different side, a web browser updates every year, so you are fine web testing in the same environment. But if you perform that in mobile, you would be testing for an old device after only a few months. So, taking the web approach for mobile app testing is wrong. This type of testing methods involves only testing in one type of Android device. But we all know how fragmented and vast the world mobile market today is, in terms of hardware and software combinations. This type of testing methods saves money, but it does not give an exact idea of the app’s performance. It is quite important to test on various mobile devices to have higher coverage of devices. It means testing on many different versions of iPhones, iPads, or Android devices. As we have discussed already, mobile apps are used on various occasions, with or without Wi-Fi, and in different types of mobile networks. You can only test for network issues when you go out in the field to test the apps in a variety of situations. Some issues might only manifest into some kind of network conditions, but it’s nevertheless important to find and root them out. Always make sure you are going in the right direction and try to run performance tests regularly throughout the development process. Test every single unit, your infrastructure, and the database at the regular intervals. Performance errors that occur infrequently and recover quickly are often easily ignored. So, never ignore such types of performance issues. Although it is quite impossible to test a mobile app in every device and OS. Google Analytics and backend longs can help to create a clear picture of customers’ behavior. It will help in testing every segment of your application and give the user a rich experience in using the app. You must know that your app doesn’t consist of too many features. Mobile application users take no time in uninstalling the app once they find out that it has too many unnecessary features. Developers must consider their application as a work in continuous progress. They must ensure that they are assessing the performance of the app and making important changes to it. To get an application that is free of all the error, it is very crucial to release updates on time. The developers should not just build an app, once it’s developed the developers need to do proper marketing. There are many ways to promote your apps like promoting on social media, blog pages and different social platforms. Identify your target audience and promote the app there. With most of the opportunities in mobile app development companies, you can capitalize and gain access to your own market, given if you avoid the above common mistakes. The above list will be very useful for a tester to avoid the common traps at all stages of testing, hence making their testing process and reports more significant and useful to a developer.